Rexall is having a skincare giveaway! This skincare prize pack includes products from Aveeno, Vaseline, Nivea, Olay and Neutrogena! 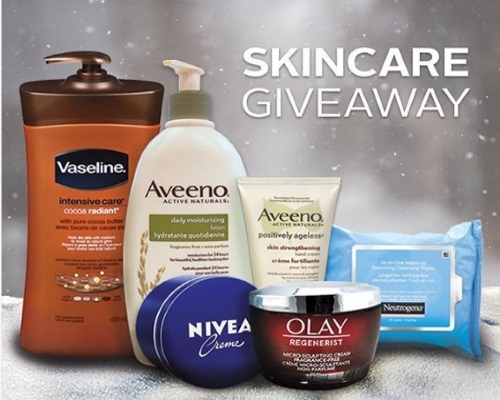 Enter for a chance to win skincare products, and stay moisturized this winter! Just follow Rexall on Instagram and tag a friend in the comments at the link below! Contest ends January 18, 2018.